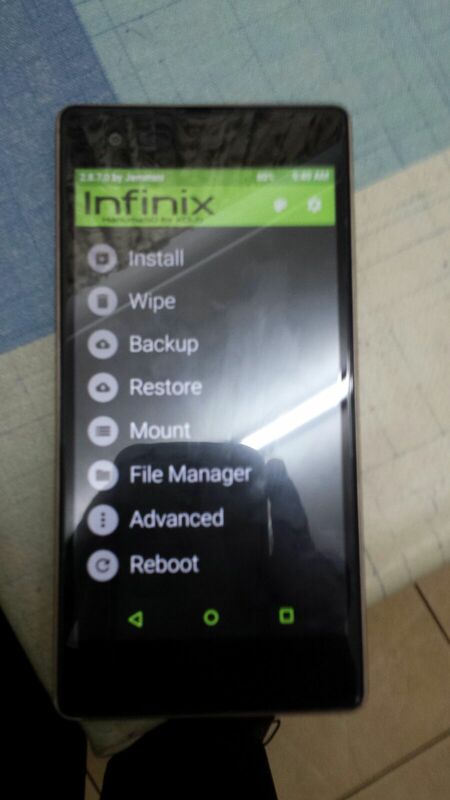 Root Infinix Hot 5 via Twrp recovery is now available. If you are a Infinix Hot 5 user then this post is specially made for you to root your device without any problem and worries follow the guide in this post. Infinix Hot 5 X559 is a 5.5-inch device with a resolution of 720 x 1280 pixels. It is powered by 1.3GHz quad-core MediaTek MT6580 Processor with 2GB RAM and 16GB internal storage with support for memory card up to 32GB, it runs on Android 7.0 (Nougat), XOS 2.2 with and is powered on by a 4000mAh non-removable battery with Fast Charging. we are going to using the TWRP Recovery method via Flash Tool Mode. It will be wise you read the post very well before flashing the recovery to avoid any errors or brick of the device. I believe many using this device have googled on how to root their device without getting any good result worry not with this ported recovery you can now root your device in a minute and get the freedom you need to explore your device the way you like it. Read the tutorial below to the end so that you can root your Infinix Hot 5 X559. interrupt before then Vola you have successfully flash recovery on your device so next thing to do is to Root Infinix Hot 5 X559, please use the SuperSu provided in this post other versions of SuperSu may not work for you. 2. In the TWRP mode, it may ask you to swipe to allow modification of System partition, tap Read Only. Congratulation your are rooted Now Enjoy Your Rooted Device!! !